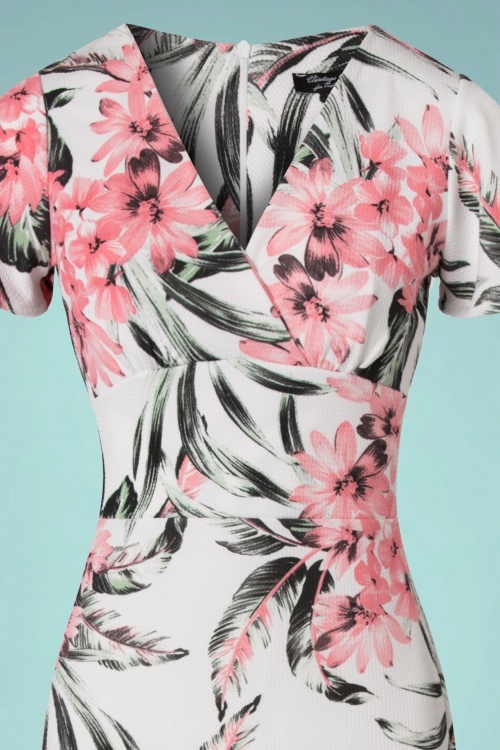 Your presence won't stay unnoticed when wearing this 50s Peggy Tropical Waterfall Pencil Dress! 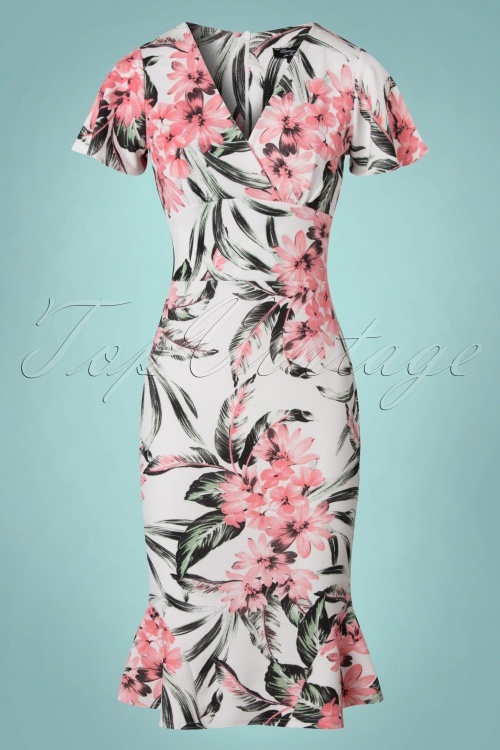 This beauty hugs your curves and gives you a stunning hourglass figure, vavavoom! 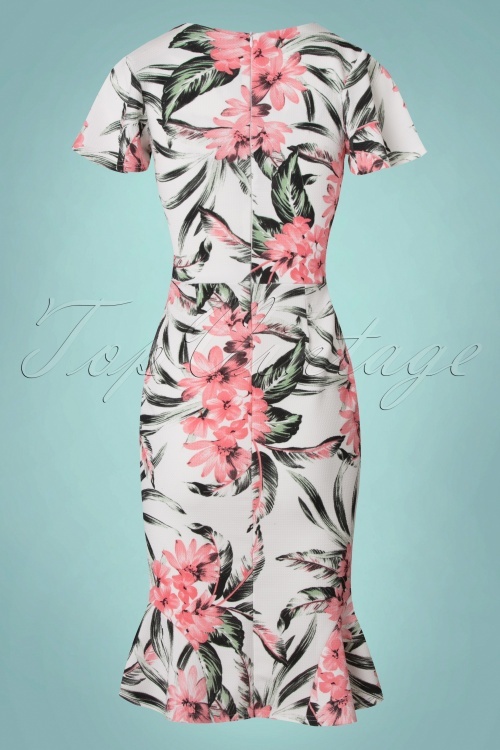 Peggy features a flattering wrap top, fluttery butterfly sleeves and a flared trumpet detail at the bottom. 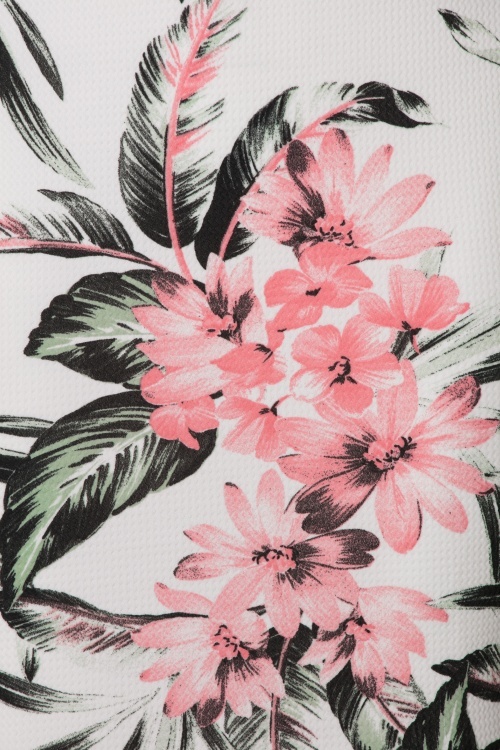 Made from a stretchy ivory coloured structured fabric featuring tropical flowers which hugs your curves. Holiday destination; Some place tropical. Suitcase essential; Peggy! Dutch presenter Beertje van Beers wore our dress!